This powerful partnership brings together industry experts with over 10 years experience in fuel and convenience retail. It allows you to have access to a complete accounting solution to support your retail sites or network. CounterBooks’ easy to use and highly automated accounting management suite for retailers strongly supports RCS’s value of improving retailer performance. Through automating the accounting process (EPOS and electronic invoices) CounterBooks can provide accurate, business specific and real time reporting. These features allow you, with the support of RCS, to make informed decisions, thereby driving business performance. Read CounterBooks’ press release for more information. Improved Communication: CounterBooks is online and can be accessed from anywhere in the UK, improving communication between yourselves and RCS. 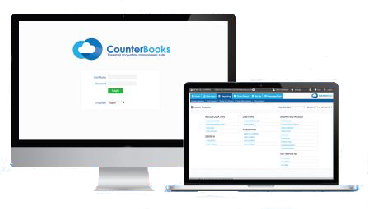 Saves Time and Improves Accuracy: CounterBooks’ automation with EPOS and wholesale providers allows for increased data accuracy whilst saving time on data entry. Easy to Use: You will have access to an easy to use accounting system with no complex Excel spreadsheets and additional accounting support from RCS. Improved Performance: Real time reports enable you and RCS to monitor your performance in real time and make adjustments where necessary.